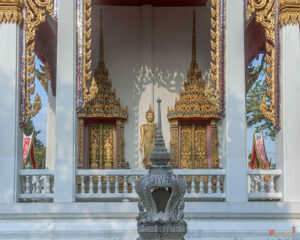 Travel and Visit » travel blogs » Asia » Thailand » Things To Do In Nonthaburi: 10 Best Tourist Attractions! Things To Do In Nonthaburi: 10 Best Tourist Attractions! Nonthaburi is the second largest city in Thailand and the capital of Nonthaburi. While it’s a fascinating city in its own right, Nonthaburi is often just lost in the sprawl of the the Bangkok Metropolitan Area. Despite its proximity the big city, it’s the perfect spot to get away from the chaos of the city and take in some of Thailand’s top sites. Wat Sangkathan is a beautiful place to explore and maybe even stay for awhile. Travellers come from all over the world for meditation retreats at this renowned Thai Buddhist temple. Whether you are there for an hour or a week, this is one wat you can’t miss. Located inside a 100 year old traditional teak wood building just down the way from Nonthaburi Pier, you can get an excellent picture of Nonthaburi history and a glimpse at some of the pottery that the province is known for. Another beautiful spot to visit, the Wat Chaloem Phra Kiat is in a perfectly picturesque location. Enjoy the riverside garden and take in the view of the stunning white pagoda. Get away from the mad markets of Bangkok and visit this multicoloured wonderland. Wander around for the afternoon and buy everything that you can carry. If you are ready to get well off the beaten path, head over to Khlong Prem Prison. The maximum security co-ed prison is home to countless foreigners who have broken Thailand’s strict drug laws.The prison has a list of inmates who are anxious to speak to other foreigners and tell their bizarre stories. 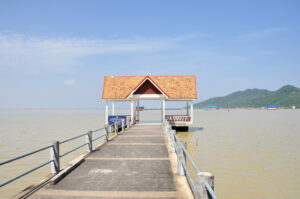 Just north of Nonthaburi, the island of Ko Kret is home to the Mon ethnic group and is famous for its unique handicrafts and distinct way of life. If you make your way to the Ko Kret island, don’t miss this old monastery that was built by Mon immigrants more than 200 years ago. When you are in need of a cool down, join all of the Thai families who are spending the day frolicing at the Fantasia Lagoon Water Park. This beautiful wat is home to a stunning garden space. Pack a lunch and take a luxuriously long afternoon sit here. Last but not least, be sure to get to Wat Bua Khwan. It is well worth the trip and there are countless photo ops awaiting you around every corner. 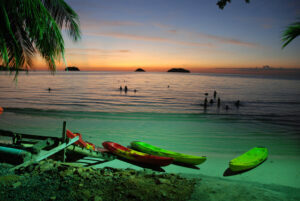 Things to do in Ko Lanta – Best Tourist Attractions! 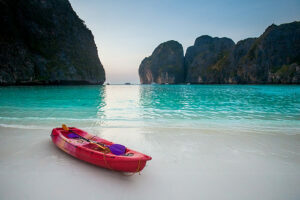 Things To Do In Ko Phi Phi Don: 10 Best Tourist Attractions! 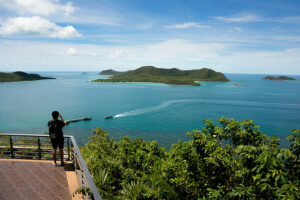 Things To Do In Chumphon: 5 Best Tourist Attractions! Ko Samae San: 5 Things to Know Before You Go!